Shopping on Black Friday is stressful enough, which is why my number one rule for tackling the sales is to have a game plan in mind. By having an idea of what you want to score, you’ll already be ahead of everyone else out to get the same deals as you. Plus, it helps alleviate some of the shopping induced stress. If your game plan is stocking up on new jeans, then today’s story is just for you. Below, I’m highlighting three key denim styles to keep an eye out while you’re in-store and online shopping this Black Friday. First up, a style I recently wrote about (spoiler alert: I’m referring to super-duper-loose jeans) mentioning it’s the only pair of jeans I’ll be wearing with cropped cardigans this fall. Since the design is a “riskier” purchase, snagging a style while on sale is the perfect opportunity to test out if you like the look or not. Some of my favorite options are from brands like Agolde and Re/Done. Next on my list is staple silhouettes from Levi’s; everyone should own a pair of trusty jeans from the iconic brand. While Levi’s prices are already affordable, tacking on Black Friday deals helps with the grand total if you’re planning on purchasing more than one pair. I recommend the wedgie jeans, which are also an office favorite and are available in a few different denim shades. Levi’s also has a solid assortment of sherpa jackets, which is every girl’s favorite fall jacket, so why not add one of those to your Levi’s sale shopping spree? The last style I suggest buying on BF is a pair of straight-leg jeans. If you’re shopping on sites like Shopbop and ASOS, there are plenty of options with a range of price points. The style lends a fresher vibe than standard skinny jeans and looks great when worn with a pair of statement heels. 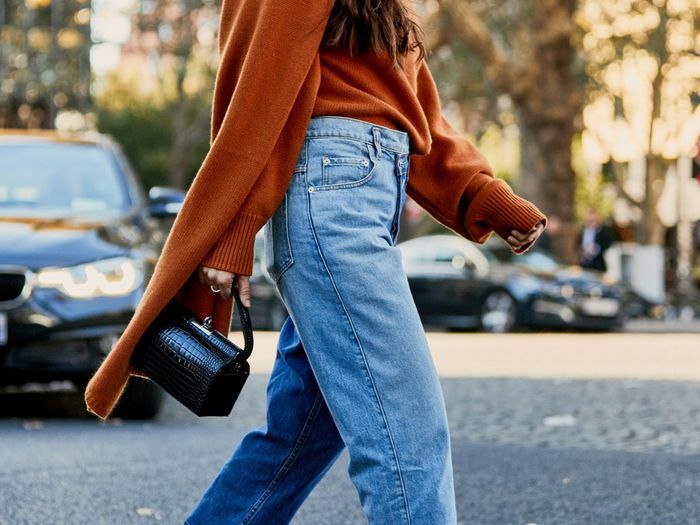 And just like that, you’re set with a Black Friday denim capsule wardrobe, so when November 23 rolls around, you know just the styles to keep in mind. If you can’t wait until then, we’ve got you covered with my favorite options from each category below. This is the perfect medium wash,in my opinion. 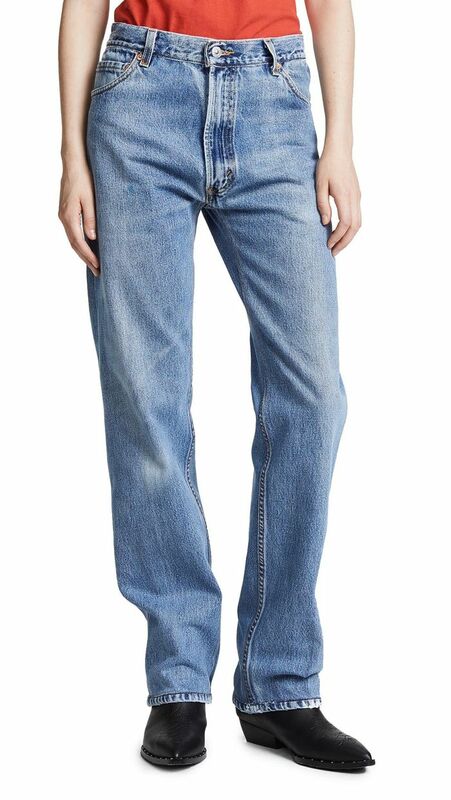 I love to wear these super-loose jeans with something slightly cropped. Such a steal at $29. These also come in a grayish black hue that is so cool. Pair these with strappy heels and a fitted turtleneck for a fall night out. If you don't already own a pair of Wedgie jeans from Levi's, now (or Black Friday) is your chance. Such a great laid-back wash. Adding this to the top of my jacket shopping list for fall. Perfect shade for the office. Always need a pair of black jeans. Need this oversize jean jacket stat. Can't go wrong with a frayed edge. Style this with your favorite fall sweater and cool earrings. Such an interested hemline at the ankle here. You'll get so much wear out of this style. Great for the weekend and the office. Another great light-wash option here. Up next, shop the number one item to wear with jeans this fall.